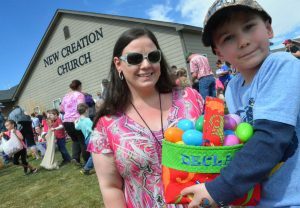 10-year-old Joslyn Bacon poses her sheep. 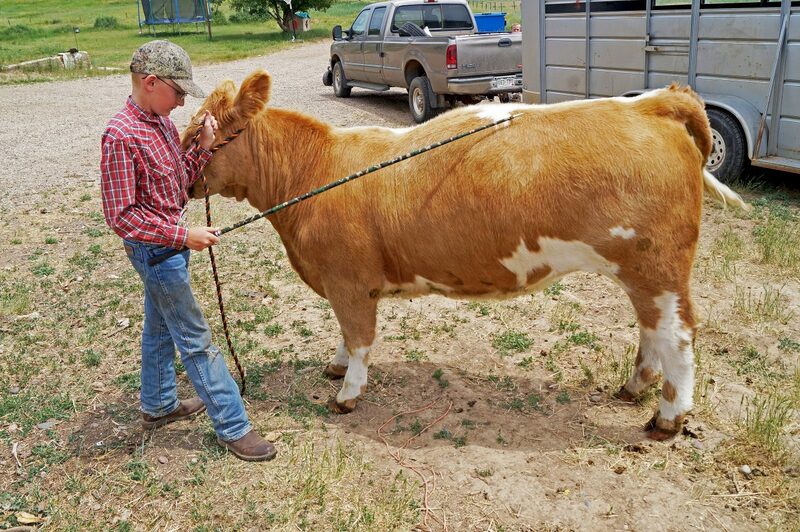 12-year-old Jentry Bacon brushes his heifer, Maple. 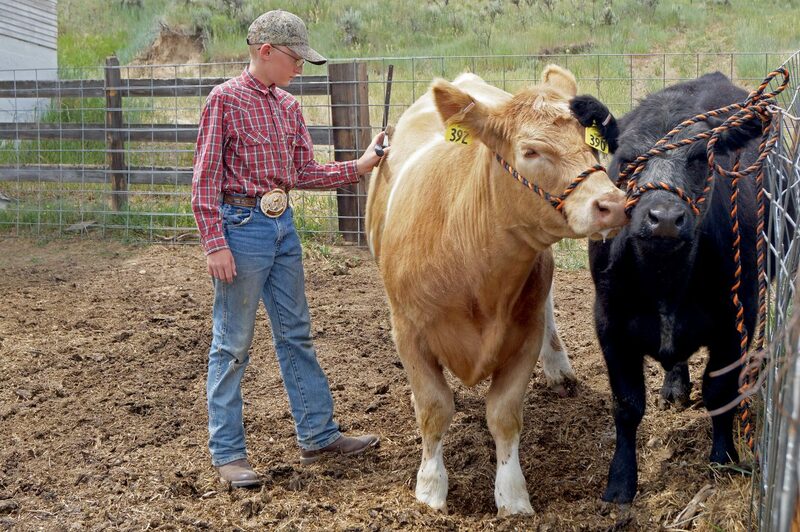 Jentry Bacon, 12, keeps his heifer calm with a scratch. 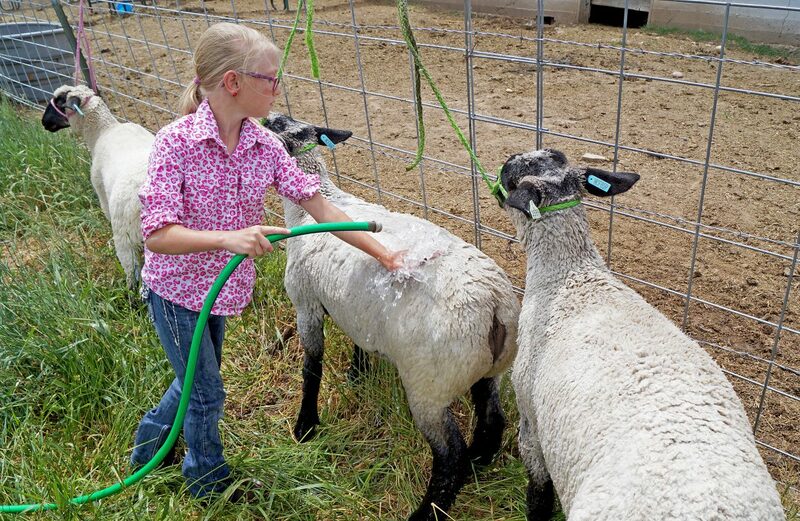 Joslyn Bacon, 10, washes her sheep.